It is a classic ‘Alpine’ style climb. Long, steady and very little variation in gradient. You can do the climb in the same gear all the way up; it is also a climb where you can sit in the saddle for the whole duration of the climb. I arrived back in England at 12pm Sat afternoon. Just 23 hours before the start of the race. It seemed like a good idea at the time to enter a day after flying back – though there were times yesterday when a 6.30am start didn’t seem so appealing. 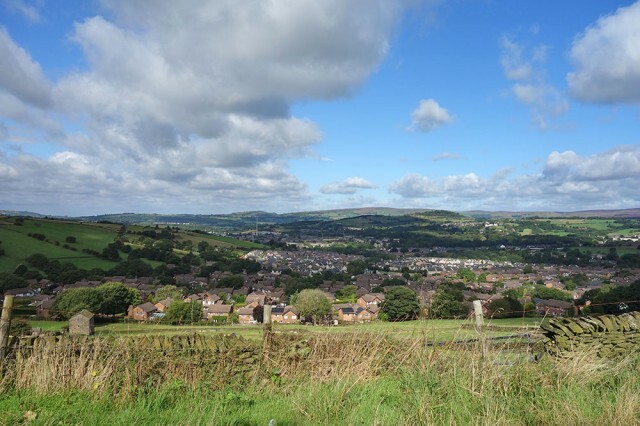 Fortunately, the jet lag wasn’t too bad, and I made it up to Glossop in good time. 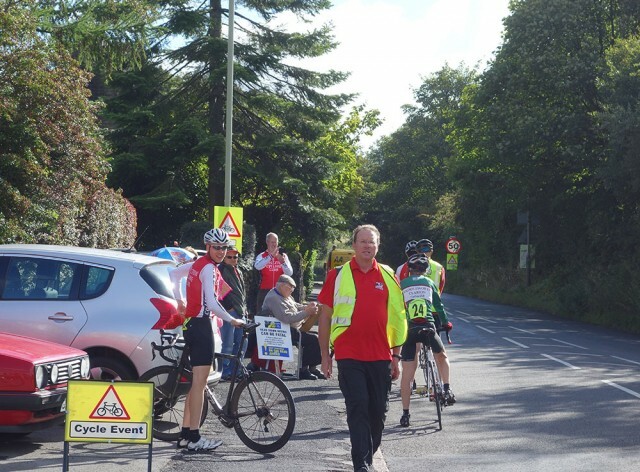 This year there was a good entry with 80 riders signed up to have a go at Snake Pass. I did my usual unscientific warm up cycling around Glossop before about 10 minutes on the turbo and then made off to the start. It’s always nice to get the hill climb wheels out (front wheel weighs 360gram) though for some reason it had a heavy Continental Competition tub on, and I didn’t have time to change. I made a steady start holding back a little, knowing that a 12 minute climb is quite different to shorter efforts. Even though I held back, I noticed power still fell away on the second half of the climb, it took increasing efforts to maintain the speed, even though the gradient eases ever so slightly. I was pretty popped at the top, and pleased to get under 12 minutes. I finished in a time of 11.51. 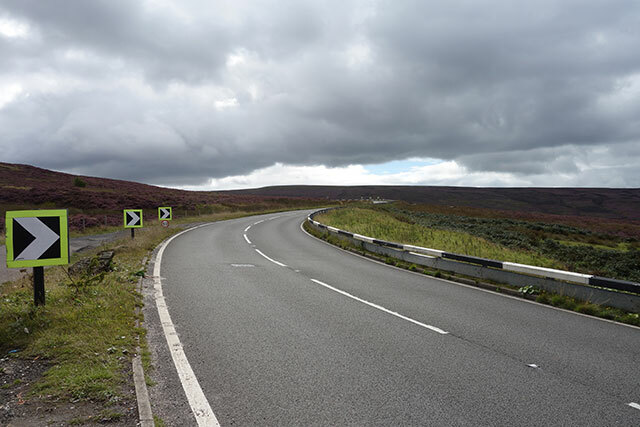 My slowest time up Snake Pass, though only 15 seconds off last year. I seem to remember in 2013 there was an even stronger tailwind, so maybe about the same fitness as last year. It’s always a relief to get first hill climb of the season under the belt. A similar level to last year is a good starting point for next two months. 2nd place was Adam Kenway (Team Zenith – www.buzzcycles.co.uk ) Adam has had a good season on the road, with many top 5 positions and a few good scalps along the way. 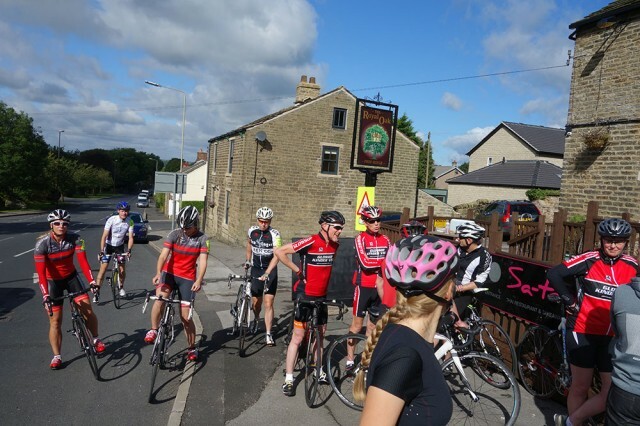 3rd was Sam Clark of Buxton CC, who is organising next week’s event up Long Hill. 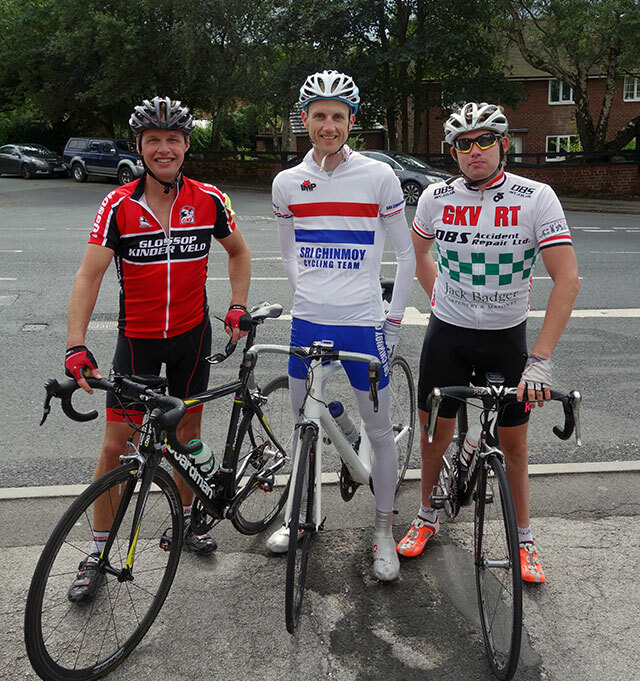 1st junior was Wilf Sargeant of West Pennine CC, 2nd junior was David Murphy. In the women’s event Joanna Blakely (GB Cycles) again pipped Vanessa Whitfield of Velo Club St Raphael. 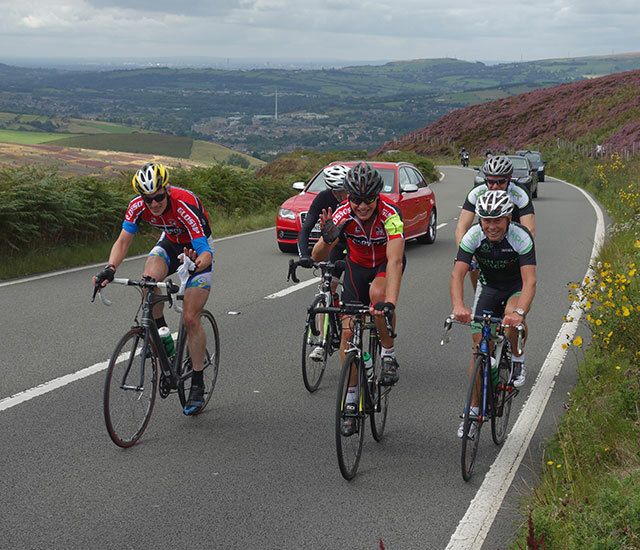 No.1 on the startsheet was Paul Talbot of Glossop Kinder Velo. 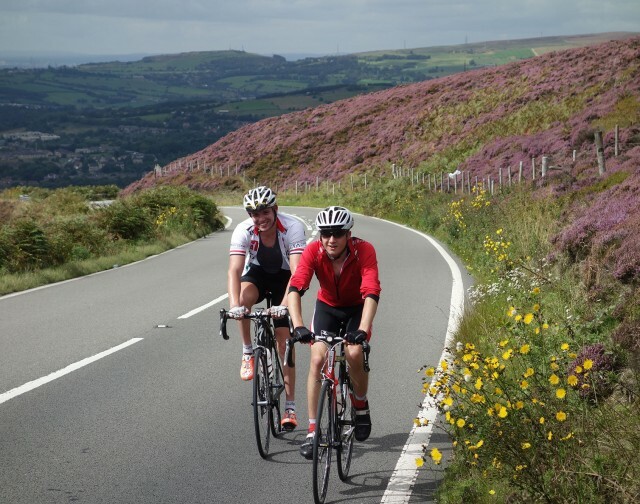 Paul had done a nice warm up for hill climb by doing about 8 rides up Snake Pass – even before he started to race. Paul and Ben started earlier in the day to try and ‘Everest’ Snake Pass. It will require 180 miles and 27 ascents. Although quite a few people have successfully ‘Everested’ different hills, I saw how Paul and Ben were finding it tough, even at 12pm with just over a third of the distance done. They are probably still climbing as I write this! It was great to have a live Everest to go along and take part in. (I did one and half ascents after the race). It was a great idea to combine with an open hill climb. Fancy trying it next year with an 18 kilo weight belt on? C’mon, give me a chance! 😉 I’m not going to give up ice cream and cakes!